The quality of the public domain. Achieving integrated and minimal maintenance design. 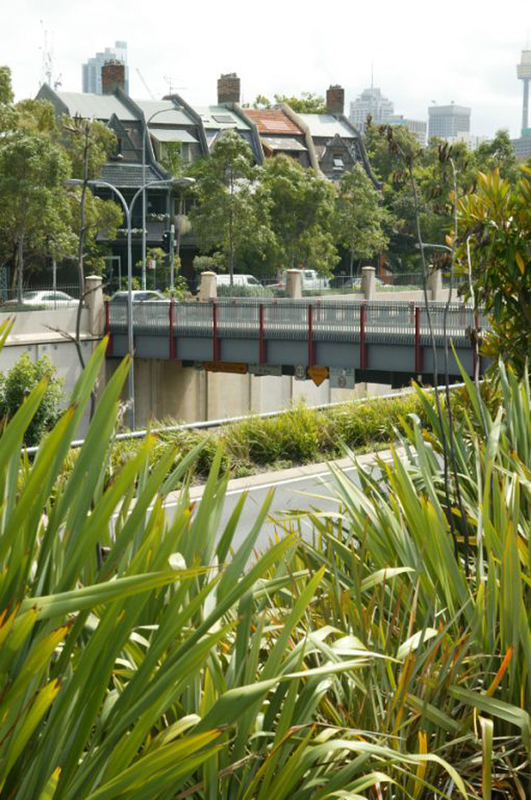 Enhancing the environment by responding to natural patterns and systems, fitting projects into the built fabric and incorporating and protecting valued road and bridge heritage. An outcome of the policy is that ‘road planning and design must contribute the accessibility and connectivity of communities and a general permeability of movement through areas by all modes of transport including walking and cycling. 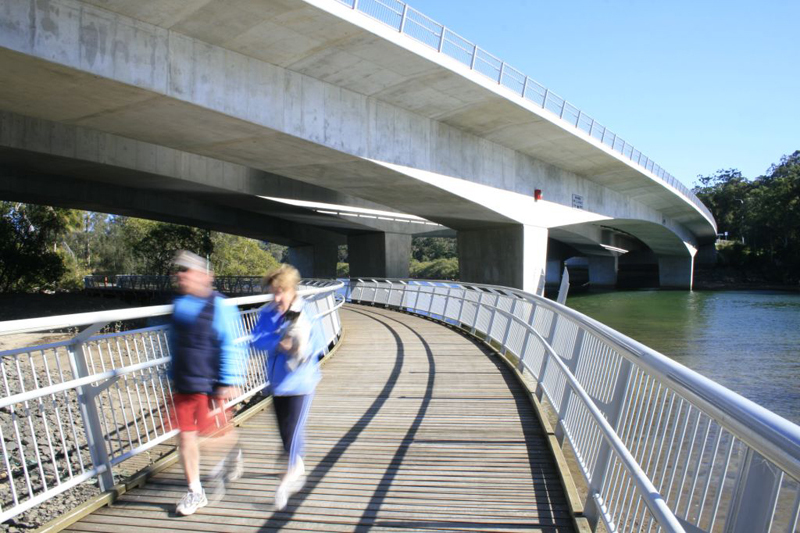 The Policy uses the Liverpool to Parramatta Transitway as a case study to explain the need for connectivity through surrounding environments, between transport modes and along and across roads. The policy requires the design process to address diversity and recognise that analysis and understanding of place is critical to good design. It requires that all ‘road projects and the networks of which they are a part must fit sensitively with the built, natural, and community environments through which they pass, in both urban and rural locations’. It aims to encourage movement to be seen as an experience, through recognising landscapes and features in the design process. This is also done through considering bridges and other structures as place making artworks in the design process. 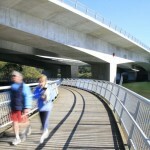 high quality concrete finishes for bridges to provide a 100 year design life. Low maintenance principles are highlighted to ensure that urban design facilitates ease of maintenance. The Beyond the Pavement approach requires road authorities to look beyond just the transport aspects of a project and address wider community needs such as for paths, open space, seating and vegetation. 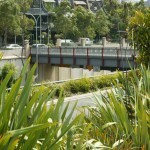 The policy encourages the use of trees and vegetation to create shade and shelter and provide ecological benefits. The policy uses the approach of using roads and streets to structure the built environment and ‘create streets and boulevards that provide a sense of place’. The policy encourages integrated artistic involvement in design where appropriate, to enrich places and help create road infrastructure that communities want to take ownership of. An important theme of the policy is safety and security, particularly passive surveillance. The policy also refers to the need to create self-explaining road environments that make road users feel uncomfortable to exceed the speed limit. This is achieved by designing roads where clear zones, spacings and corridor features define the speed limits rather than the signage alone. Roads authorities can encourage walking by providing of footpaths alongside roads and connecting them to other walking paths. Principle three of the policy—connecting modes and communities—provides guidelines for incorporating footpaths in road design and connecting them to other walking paths. The policy emphasises the need to provide adequate crossing points at desire lines and intersections and highlights that roundabouts and cul-de-sac type routes create difficulties for achieving good pedestrian connectivity. The project management and design processes described in the policy are based around a context-sensitive design approach in terms of planning and transport as well as the built and natural environment, incorporating the local community needs. 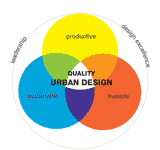 Ensure continuous learning in urban design. Design excellence is a priority across all areas of the policy and resulting projects. This is supported by the requirement for project managers to utilise high quality urban designers accredited on the Registration Scheme for Construction Industry Contractors. One of the requirements of Beyond the Pavement is ‘achieving integrated and minimal maintenance design’. This means that high quality and low maintenance approaches must be used to ensure simplicity, robustness, durability and designing for ease of maintenance.